When you’ve been invited for an interview, your thoughts naturally turn to giving a winning performance on the day. Good preparation of interview is the key to success. as you know a job interview is the most important to make place in the company and achieve target part. interview candidate with a great knowledge of your target company and its product preparation and of course knows exactly how to convey that you are the perfect fit for the job. However, it is also your opportunity to get on the good side of an employer, who can give you a distinct advantage over even applicants whose credentials are better than yours. 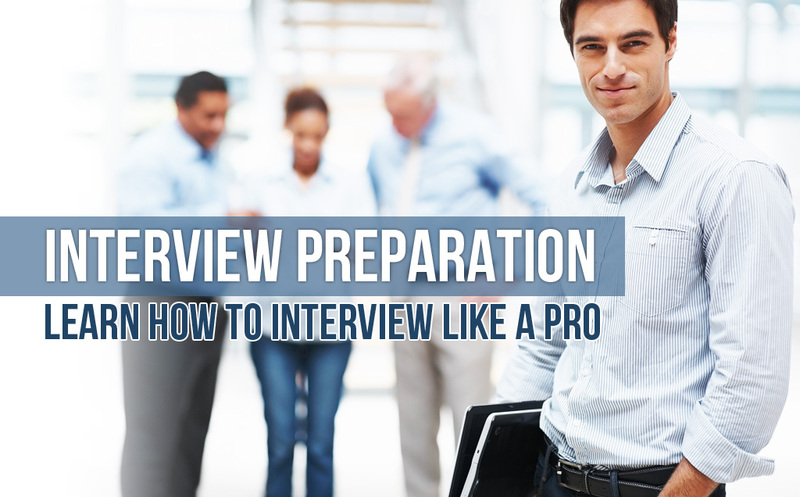 Good preparation of interview is essential to a successful job interview. Here’s our guide to the basics you’ll need to cover to plan and practice your knowledge. Collect and investigate the profile and background of the company. Start by looking at your goals and plans for the future. Conducting the interview with this in mind will make you seem like a good long-term investment. You should also be prepared to talk in depth about the industry, the organization and the position you are applying for. Know as much about the company as possible. You can not change your employment history or your grades, but you can work harder than any other applicant to be extremely knowledgeable about the company. Use the website of the company, its annual report and magazine articles / business to gather as much information as possible newspapers. Think about the questions asked by the interviewer. actively participating in the interview gives a good impression of your level of interest in the job. It’s a good idea to come prepared with at least three questions that reflect to ask your interviewer. Avoid doing anything that could be easily answered through a quick search on the internet, or simply going to come across as lazy.Show that you are paying attention to ask for more details every time something is unclear. Avoid questions for the sake of asking, however, or it will seem like you can not keep up. Interview practice with a friend. If you have a friend who is also preparing for an interview, the possibility of preparing together. Not only will this give you a way to structure their preparation, but it will also help you get comfortable with giving answers, telling stories, and the use of appropriate terminology. Practice giving complete, concise answers and maintain eye contact with the interviewer (s) while they are given. Make sure you are not speaking too slow or too fast and that your answers are expressed with confidence. Basically you know what he wants to talk before the interview. If you are stumbling and having to find an answer to a very basic question, you are not putting your best foot forward. Your answers are very basic at his fingertips, and anticipate some of the most difficult questions before entering the interview. Anticipating the interviewer’s questions. It is best to prepare for a wide variety of questions thinking about their own career goals, long-term plans, past successes and strengths to work, but must also prepare for the deceptively simple questions that most employers, as to launch his interviewees. Do not be afraid to admit you do not know something.Dress for the interview. In any workplace, clothing is a sign of professionalism and sometimes is used to measure their level of competence. When your coworkers and customers look, they should feel comfortable immediately to work with you. It is easy to rule himself out of a job just because you do not take care of their appearance. As a general rule, you should dress for the interview as you would for the work itself. If the work is unusually casual, however, you may want to appear in casual business clothes, but it is always better to be formal. Both men and women should choose soft colors that make an impression. Make sure your clothes are lint and wrinkle free. Avoid using perfumes, aftershave, or scented lotion. For women specially dress professionally means wearing a skirt suit or a smart knee in a dark color, along with sheer hosiery, without patterns, closed shoes and subtle makeup. Appearing in the best possible way. Make sure you know exactly how to get there and, if you drive, where to park, so you can reach 15 to 20 minutes before the scheduled interview. Go to bed early the day (or days) before the interview so that you look rested and healthy on the big day. Bring an extra copy of your resume, CV, references and / or in case your interviewer wants to go over any points with you or refuses to take your own copy. If the interview is in the morning, be sure to eat a healthy breakfast. This is not just an empty suggestion. A breakfast rich in antioxidants, omega-3 fatty acids and foods rich in vitamin E, such as nuts and seeds, help improve brain function and leave feeling more alert and energized. Consider exercise before the interview to annihilate stress and increase blood flow. If you are generally nervous or nervous before an interview, it might be a good idea to work out before the interview. Go hard for one hour, and give your body at least an hour to calm down. Shower after exercise. Show courtesy to everyone during the interview. This means everyone from the reception staff to the interviewer herself. You never know who has input in the hiring process, and you can only make a first impression once.Look everyone in the eye and smile. Looking people in the eye will telegraph alertness, and smiling will signal friendliness. Speak clearly and say “please” and “thank you.” Make sure the people you talk to during the interview. Be honest. Many people think that an interview is the perfect time to embellish. While you want to structure your answers to their best, most qualified aspects are the protagonists, who will not cheat or lie. Companies do conduct background checks, and lie about your experience is simply not worth it. Keep these all things simple and short. Talking about oneself can be very difficult to do well, You are trying to convince someone who does not know that you are qualified for a position without sounding too arrogant or pompous. Stick to what he knows well, and keep things short and sweet. Shake hands with the interviewer compliments and change. Try to invest some feeling in the handshake and compliments, even if you think that bombed the interview. The interviewer should give a deadline for when to wait for a callback, if any.